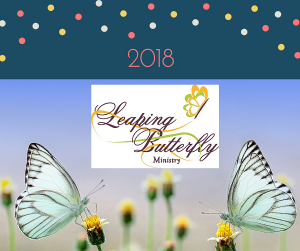 This article is about Leaping Butterfly Giving. It’s been quite a wakeup call to realize that I may be entering the 4th quarter of my life, even though many quote 60 is the new 40. Currently, I’m reading a great book, Becoming Ageless by Strauss Zelnick and this book might be correct IF I take the personal steps to be personally responsible for my own health. No one can make me eat right, drink water, exercise regularly but me. On occasion, I think about my precious daughter, Kellie, and ask myself if she would be alive today IF we knew what I know today about Turner syndrome. Probably so … but for whatever eternal purpose, our story didn’t end as we would have desired. 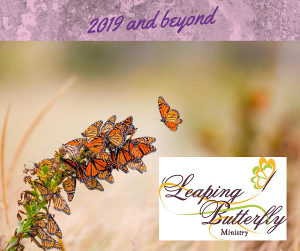 Leaping Butterfly Ministry believes that awareness, support, information and advocacy for good health and prevention should be foremost in our mission and vision statements. LBM is involved and active in the following ways in the past, currently and in our plans for the future. Financially supported the Healthy Heart Project at 3 summer Turner Syndrome Society conferences, which included free echocardiograms, and general health screening. LBM has helped subsidize the Medical Symposiums at 2 summer conferences as well. We launched fundraisers in 2014 to award scholarships for sets of hearing aids to TS applicants. Sponsored the Echocardiogram Room at Texas Children’s Hospital in The Woodlands, Texas. Toured the Pediatric Turner Syndrome Clinic in Kansas City, MO with Kelly Ranallo, Founder/President of Turner Syndrome Global Alliance. LBM made a vow to not only support pediatric clinics but give support towards the first Adult Women’s Clinic at Kansas City University, which opened in July 2018. 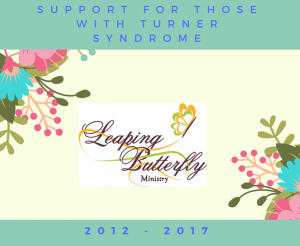 We continued our support to encourage the TS community to register in the Turner Syndrome Research Registry for advancement in research. LBM has now awarded 32 sets of hearing aids. We began a program to financially assist with adoption efforts within the TS community. LBM has been invited to serve on the Turner Resource Network panel as an active participant along with several other supporting TS organizations. We each bring a unique perspective to network by traveling in our respected lanes of travel. Dr. Silberbach, Professor of Pediatrics, Division of Cardiology School of Medicine and Founder of TRN leads the conference calls on a regular basis. We have pledged support to advance medical research for the Turner Research Network and Turner Syndrome Research Registry programs by advocating to the United States Congress to assist in federal funding. LBM will have a presence on January 14, 2019 for the official grand opening of the first Turner Syndrome Adult Clinic in Kansas City, MO. Thank you for your generosity in aiding to support these life-changing / life-saving changes towards great strides in medical advancement. Girls and women are not only taking responsibility for their own health but are discovering their doctors are now much more informed than they were 30 years ago. We’ve come a long way; but, we will continue to follow the challenge to perhaps one day find a cure.